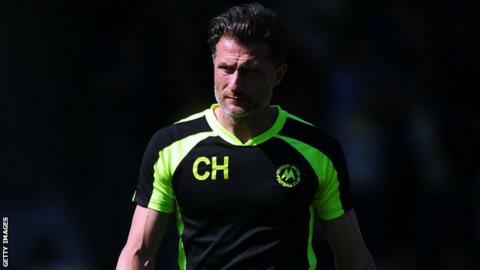 Torquay United "should have seen off" Dover Athletic in the Conference on Tuesday, says manager Chris Hargreaves. "It was a game we should have seen off, both in the first and second half," Hargreaves told BBC Radio Devon. "We just then wanted to stand up and soak up the long ball game that we were inevitably going to face and we couldn't quite hold on." Torquay drop to 10th, but are only three points below the final play-off place, despite not registering back-to-back victories since they went on a six-game winning streak in September. "We were dropping too deep, they had a little bit of pressure, nothing that wasn't hard to deal with, but we played into their hands a bit," added Hargreaves. "The defenders will say we should finish a game off, but if you're 1-0 up, the strikers will say you've got to see it out and keep a clean sheet. It's a combination of both and I'm very disappointed."